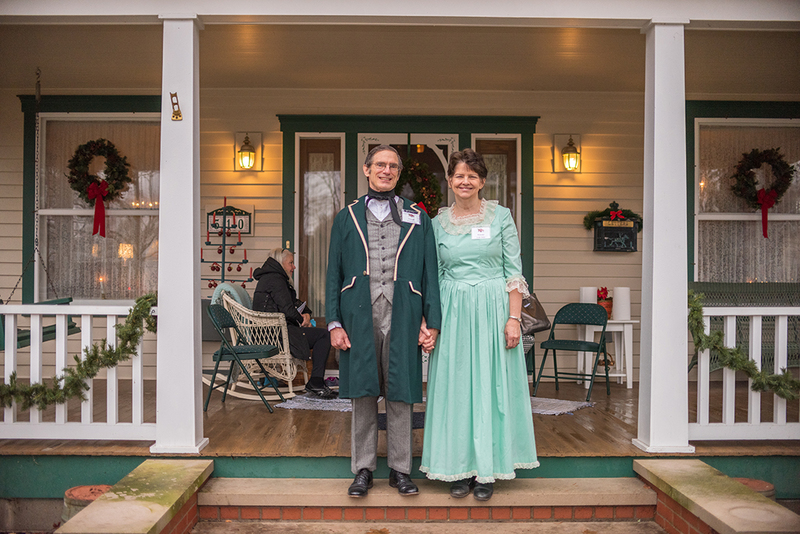 Russ and Ruth Schwartz, who dressed in Victorian-era outfits to match the theme of their house, welcome visitors to their home. 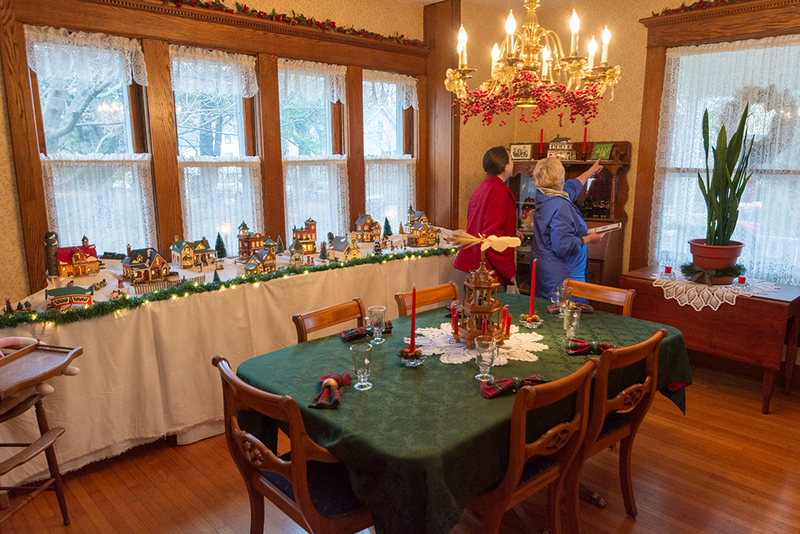 Christmas décor fills a room in a home on Main Street. 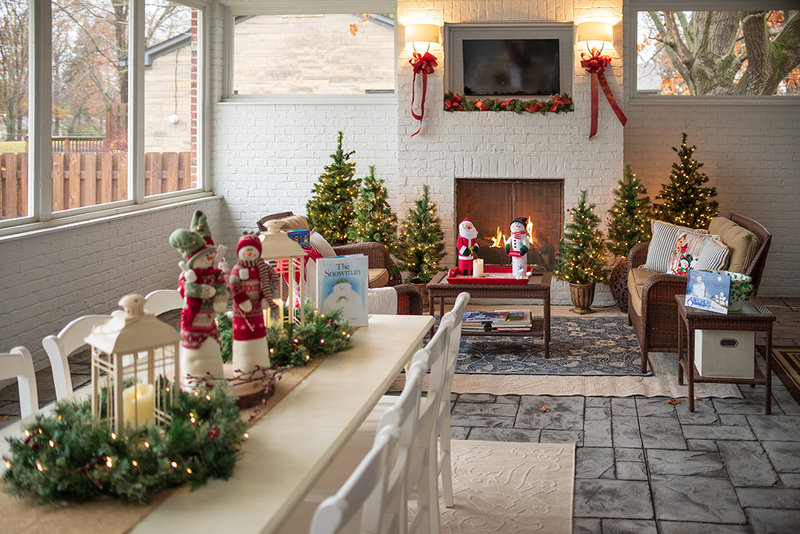 Stockings and other Christmas décor on display in a home on Main Street. Home tour participants visit a house on 1st Ave. NW.